Tibet is an autonomous region of China which located on Tibetan Plateau in Asia with an average altitude of more than 4000m. You will be shocked by its most unique landscapes and magnificent views. The highest altitude location makes it one of the remotest places around the world. Traveling to Tibet is a little bit expensive because of the additional permits to visit Tibet or other restricted areas. It is forbidden for foreign visitors to travel in Tibet alone so you also need a tour guide on your side. All these above certainly increase your budget and make it necessary to plan your Budget Tibet tour such as paperwork preparation, reservations and tickets and accommodation wisely. First of all, it has become the most popular way to go to Tibet by train since the Qinghai-Tibet Railway was opening in 2006. You can take this train to Tibet from many major cities in China like Beijing, Shanghai, Guangzhou and Chengdu. The cost of taking the train is one third or a half than taking a plane. There are many other advantages in addition to the price. You can enjoy the stunning scenery outside the window for 2-3 days and experience the very altitude as high as over 5000m. On the other hand, it’s better to acclimate the altitude comparing to flight. 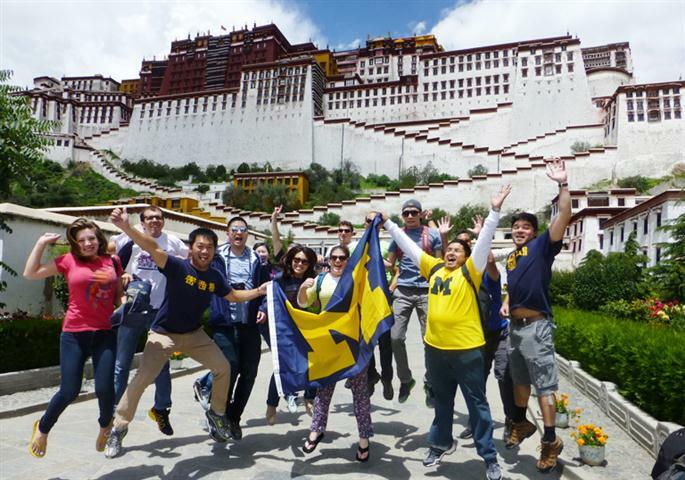 Even if you are going to visit Lhasa only, a good acclimatization is still very important. The Tibet trains are specially built with centralized oxygen supply and each cabin is equipped with extra oxygen in case of altitude sickness. In an emergency situation, each passenger also has private oxygen supply and there will be a doctor on each train. Secondly, a tour guide and a vehicle are your necessities in Tibet. The cost could be very high if you travel with your own group which is composed of no more than 2 or 3 people only. You might say, joining a large group could be restricted by the rules and other people. So why don’t you join a small group to be not only free but also decrease the cost. As far as I know, Great Tibet Tour is specialized in some of the most popular Tibet small group packages. An ideal small group would be composed of 8 to 9 people to guarantee the smooth communication between tourists and guide. It would also provide safe and quality transportation and hotels with good locations and clean conditions. An experienced guide would take you to the most authentic Tibetan culture and real life. Another advantage of joining small tour group is, of course, meeting new people from all over the world. Last but not least, visit Tibet in winter. Most people who haven’t been to Tibet will treat Tibet as a place that is extremely cold and full of snowstorms in winter and some of them even think the human cannot visit Tibet in that season. In fact, visiting Tibet is not that cold as you imagine although many distant locations are too harsh to access. For example, Lhasa can be warmer than Beijing in many days of winter. The main winter season with a temperature of 10 to 18 degrees most of the days in Tibet is November to March. Lhasa, as the major destination for Tibet tours in winter, daytime temperatures are usually over 10 degrees while nighttime temperatures hover around 0 degrees. In that case, you can easily figure out that visit Tibet in winter is much the same as doing that in other seasons. But since it’s the off-season, the cost of guides, vehicles, tickets and hotel accommodation are lower. 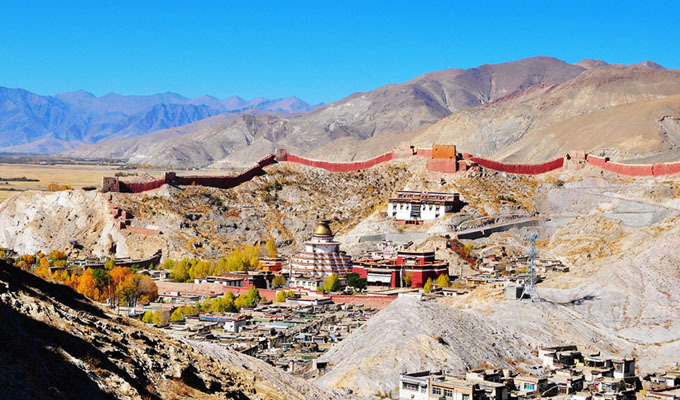 Tibet has become an expensive destination because of remote and high-altitude location as well as extra travel requirements compared to many other places in China.Still, you can minimize your budget and fully enjoy what Tibet is offering to its visitors by careful planning, working with a good tour operator and choosing budget-friendly options.